Yes, but the new M1 is totally legit. Have you seen the teaser for TaylorMade’s M1 driver - the one with TaylorMade players Jason Day, Justin Rose, Sergio Garcia, Dustin Johnson and others cooing over the new club? Of course you have – if you so much as looked at a golf course as you drove by it in 2008 then the golf industry somehow has your email address, and TaylorMade will have sent you the link. And let’s be honest, it’s pretty convincing. Combine your awareness of TaylorMade’s track record for producing innovative, high-performance drivers (a lot of innovative, high-performance drivers), with watching a bunch of animated Tour players looking genuinely impressed as they apparently see it for the first time, and it’s very easy to get drawn in. It’s just nine months since the company’s R15 driver arrived at your favorite golf retailer - surely not enough time for TaylorMade to make sufficient technological advances to justify yet another big-time launch. Indeed, the manufacturer stressed it “put everything we have into the R15”. What more can it have found since January? First off, the clubs looks spectacular – “like a racing car,” Garcia says in the promo. “It just looks fast,” adds Day. 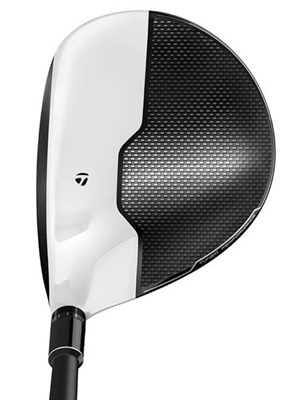 Instead of an all-titanium head, the M1 features a black titanium face, white titanium forward section and a black, very light, seven-layer, carbon-composite crown – TaylorMade’s first. sliding from front to back, permitting up to 300rpm of backspin and 0.8 degree in launch angle adjustment. That basically means you can not only change the amount of weight in the heel or toe to affect the directional shape of your shots as you could with the R15, you can also move the CG from low/forward to low/back in order to alter the launch angle and spin rate of the ball coming off the face, as well as the club’s MoI. And if all that adjustment capability wasn’t enough, the 12-position loft sleeve allows you to change the loft by as much as four degrees. It goes on…the multi-color, multi-material, multi-option head is complemented by one of three stock shafts - a mid/high-flighted Fujikura Pro 60, mid-flight Kuro Kage Silver TiNi 60, and a low-flighted Aldila Rogue 70 110 MSI – or your choice from 25 other premium shafts that TaylorMade is able to offer at no additional cost. It might take a few tries to find your ideal combination of loft, draw/fade bias, CG position, and shaft, but when you do...look out! 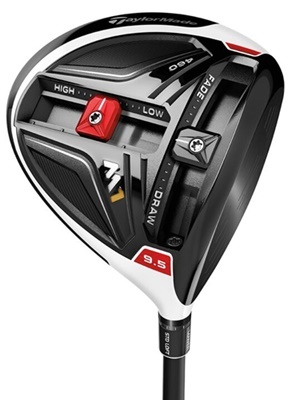 The M1 driver will be available from October 8 and will set you back a mighty, though not unexpected, $499. Available lofts are 8.5°, 9.5°, 10.5° & 12° in right hand, and 9.5° and 10.5° in left. A 430cc version will also be offered in right hand with 8.5°, 9.5° & 10.5° of loft. And the M1 line also features the M1 Fairway ($299) with the two, shot-shaping, Front Track weights, and the M1 Rescue ($249).